iorgos Angelides joined the firm in 2014 as an attorney. Since 2014 and after obtaining his license he has been practicing law in Nicosia, acting on behalf of both physical and legal entities and providing consultation to them in Tort, Corporate, Criminal, Administrative, Family and Employment matters. He is now the Head of the Corporate Department and also serves under the Litigation Department. 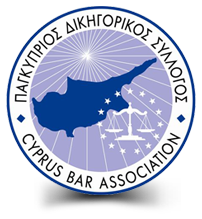 Giorgos Angelides regularly appears before courts of all instances in Cyprus in regards to various matters including those he specialises in as well as before the Cyprus Tenders Review Authority for all relevant procedures before them. He also attends seminars in regards to Corporate and Financial matters.